General – Remember the Finance Section grows or shrinks as “needs” dictate. There is always someone in charge of Finance, maybe the IC, maybe a single person for a small group/camp. When financial requirements become more than one person can handle then more people are assigned to the position(s) required to fulfill that need. If the incident is small you may only need one or two people, if your prepper group is large you may several people to fill various positions. But the principles and responsibilities remain the same. 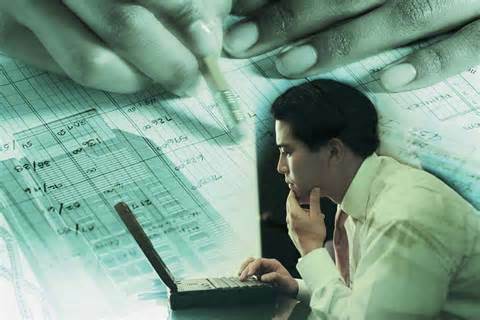 A Finance Section is established when the management activities require finance support services. Some of the functions that fall within the scope of this Section are recording time, maintaining contracts, compensation and claims, and conducting all other finical aspects for the group. Mission – All financial support needs are provided by the Planning Section. 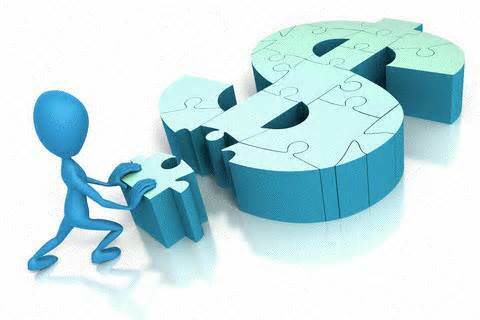 • Manage all financial aspects of an incident. 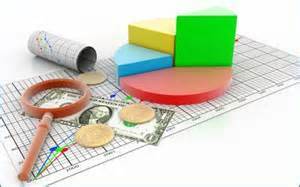 • Provide financial analysis information as requested. • Determine the need to set up and operate a group store. • Ensure that all personnel time records are accurately completed. • Ensure that all equipment usage records are accurately completed. • Ensure that all financial documents are properly prepared, monitored and completed. The Finance Section is managed by the Finance Section Chief (FinC) who is a member of the General Staff. Rarely is a Deputy needed. However, in a specific case of setting up a group monetary and/or barter system one may be required. 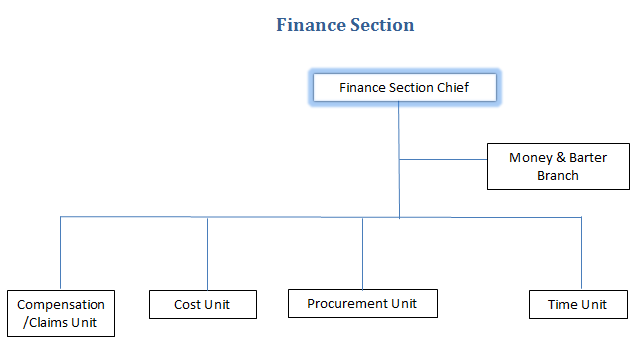 Finance Section consists of four Units. Each Unit is led by a “Leader”. • Compensation/Claims Unit: Responsible for financial concerns resulting from resources usage, property damage, injuries, or fatalities at the incident. Negotiating appropriate compensation for resource usage owned by group personnel. 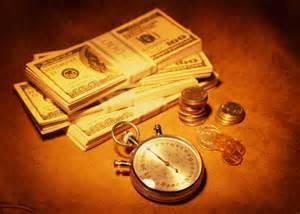 This Unit is also responsible for negotiating financial settlements between group members should the need arise. If group members are being compensated for their time, this Unit will coordinate that process. • Cost Unit: Responsible for tracking costs, analyzing cost data, making estimates, and recommending cost-saving measures. • Procurement Unit: Responsible for financial matters regarding paying or compensating for resources that are acquired externally. This Unit will handle the “payment” aspect of acquiring external resources, supplies, etc. This Unit, when established, will work closely with the Order Manger and Supply Unit in the acquisition of external resources, supplies, etc. in regards to payment. • Time Unit: Responsible for recording time for incident personnel and equipment and providing that information to the Compensation/Claims as needed. When activated this Unit tracks hours that group personnel supply their own time or other equipment time (i.e. generators, truck, etc.) and will be compensated for it. This Unit will supply the usage information to the Compensation/Claims Unit for processing. What you just read was a review of the Finance Section. Do you need a person in each position? Probably not unless you have a very large and sophisticated prepper organization with lots of people and needs. But what you see above outlines the majority of the finance needs that a prepper group would have. If your group is small you probably won’t need anyone in this Section. If you have a medium sized group then maybe 1 or 2 people can do the job. But don’t worry, if your group grows in number then just put additional people into the organizational chart to fulfill specific needs. But this gives you “organization”, an outline for your group. That is what is important and valuable, organization. Without it, your group’s failure factor increases dramatically.